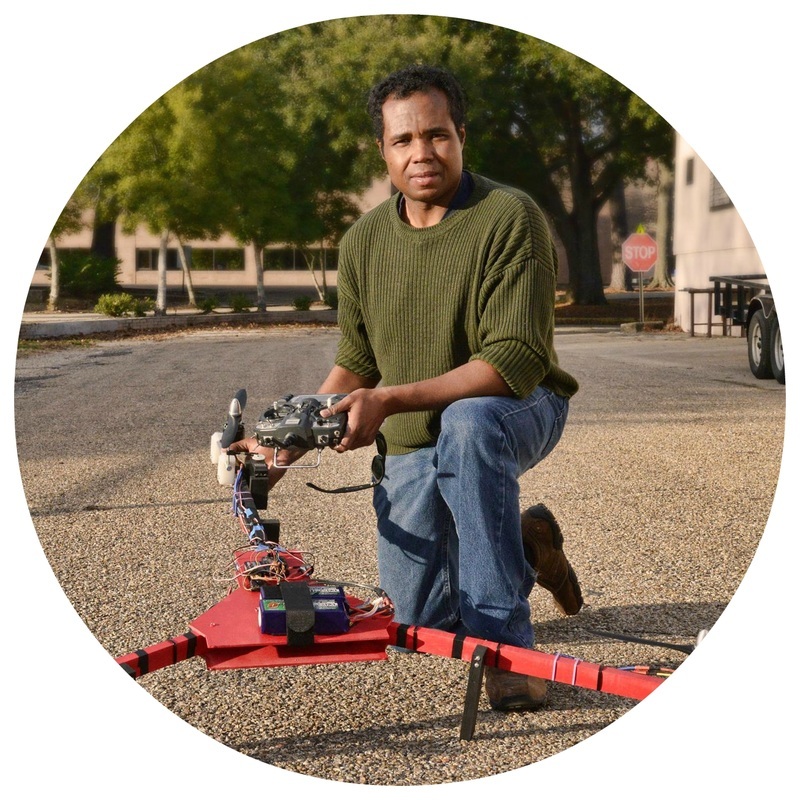 Lead Pilot and Owner Charles Malveaux has a PhD in Engineering from Louisiana State University and specializes in UAV remote sensing. As an engineer he designs and oversees the construction of UAV systems for the Environmental Robotics Institute. At ERI we are not limited to what is available to purchase online, the sky is not our limit and we make and fly the best drones in the business. McNeese State University - Sociology B.S. Lousiana State University - Bio and Ag Engineering M.S. Conoco Phillips Offshore Oil Platform Engineering Int. Branch Supervisor for Loomis Fargo Armored - I over saw the security and supervised the shipment of over $30,000,000 dollars per month between stores, banks, and casinos in the SouthWest Region of Louisiana. Licensed Pilot - As a licensed pilot and during my time in training I have operated numerous fixed wing aircraft ranging from an L-39 eastern bloc jet fighter/trainer to standard general aviation aircraft such as the Cessna 172 and a Citation Business Jet. Offshore Survival Training - While working on an engineering internship with Conoco Phillips I underwent offshore survival training in order to work on a platform 220 miles offshore in the Gulf of Mexico. Foreign Languages - I speak 5 foreign languages with the most fluency in Mandarin Chinese followed by Spanish, French, Arabic, and German. Unmanned Aerial Systems - I design, build and operate UAV’s for remote sensing engineering research and other projects I currently have more than 2000 flight hours of operational experience remotely operating these unmanned aerial systems. Law Enforcement Experience and Training - I have worked for over 3 years as a police officer and received POST Certification the Calcasieu Parish Regional Law Enforcement Academy. Malveaux, Charles. 2014. Investigating the Potential for Drone Use in Agriculture. Louisiana Agriculture, Winter 2014, 8-13 pp. Malveaux, C., S. G. Hall and R. Husser, 2014. Design, Development and Testing of an Engineered Alligator Culture Facility. ASABE Paper 141911062, accepted, 6 pp. Malveaux, C., S. G. Hall and R. Price, 2014. Using Drones in Agriculture: Unmanned Aerial Systems for Agricultural Remote Sensing Applications. ASABE Paper 141911016, accepted, 7 pp. Malveaux, C., S. G. Hall, 2014. Water Hyacinth for Ethanol Production and Coastal Protection. ASABE Paper 141911016, accepted, 6 pp. Malveaux, Charles. 2014. The Potential for Drone Based Remote Sensing Control Systems in Agriculture. Malveaux, Charles. 2014. Light Weight Robotic Aircraft for Tactical Reconnaissance and Situational Awareness. 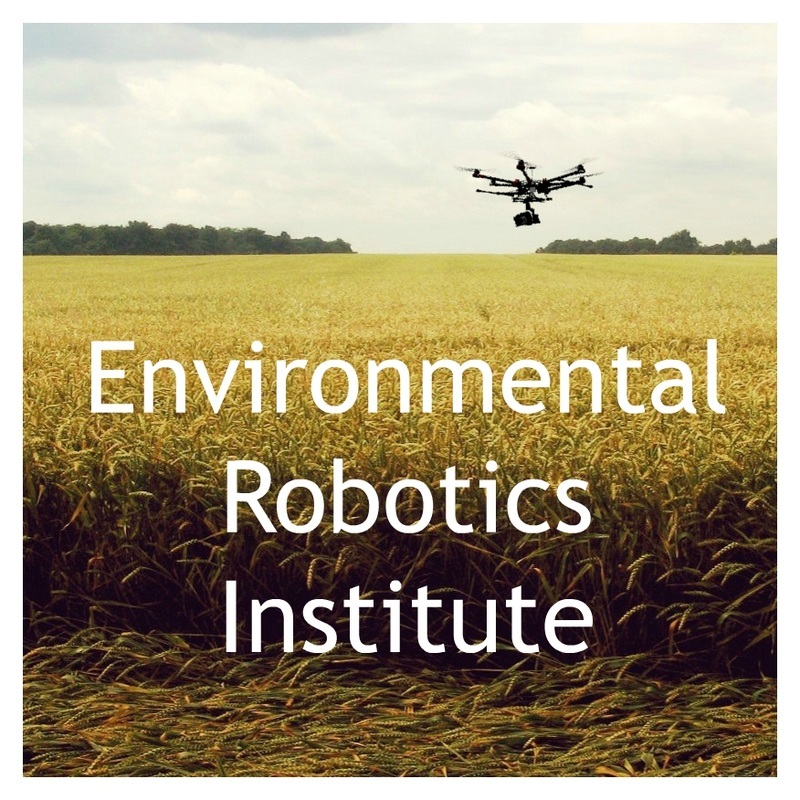 White Paper, The Environmental Robotics Institute LLC. Malveaux, Charles. 2013. U.S. Patent Pending: 13845123. Vertical Take Off and Landing Autonomous/SemiAutonomous/Remote Controlled Aerial Agricultural Remote Sensor Platform. Malveaux, Charles. 2013. U.S. Patent Pending: 13923335. Wearable Networked and Standalone Biometric Sensor System to Record and Transmit Biometric Data for Multiple Applications. Malveaux, Charles. 2013. U.S. Patent Pending: 14210219. Unmanned Aerial System Drone Situational Awareness Flight Safety and Tracking System. Autonomous Vehicle Demonstrations, ASABE Meeting, Spring 2014 2. Autonomous Vehicle Demonstrations, 4-H University, LSU AgCenter, 2014 3. Autonomous Vehicle Demonstrations, Stevenson Disaster Management Institute, 2014 4. Autonomous Vehicle Research Flights for Louisiana State University Projects, 2013-2014.